Four (now THIRTEEN!) Effin' Years! How will you celebrate? Re: Four (now Six) Effin' Years! How will you celebrate? Some of my Brokie artwork. Bettermost Bean Cans (label desiged by gnash), a framed pic of a mural in the Riverton Wy. post office, four pices of artwork by former DCF member Janie-G.
Two pencil sketches. The first is by Jeff Eckert & the second is by former DCF member Janie-G.
Nametags from various Brokie gatherings. Top Row: Oxford '08, Philly Slash Bash (I think), & Boston Aids Walk in '10. Middle: LA in '08 and Wyoming Road Trip in '08. The two teddy bears are from the same ex who gave me the dishes. I kept that too! LOL How do you get rid of a Brokie gift? Jack & Ennis rubber ducks, hats with twine, a koala from an Aussie Brokie, a glass heart from a Brokie who gave it to me after a break up, a dragonfly in honor of Heath & Jackie, two small sheep. 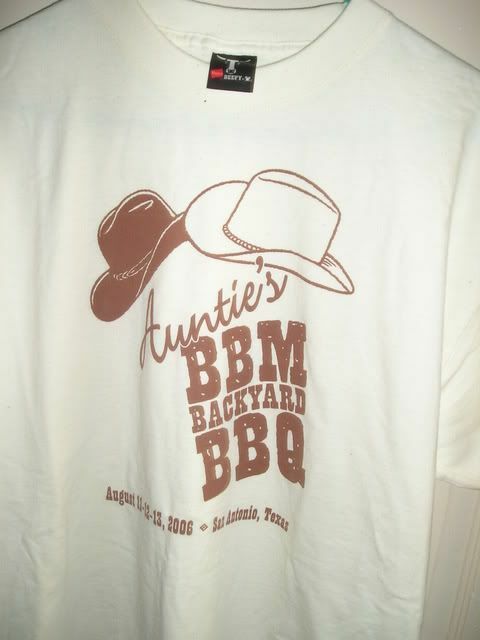 The goodie bag from the Texas BBQ, an "Auntie's Diner" hat, and a cap with a cowboy's silhouette on it, that says "Jack Nasty" under it. 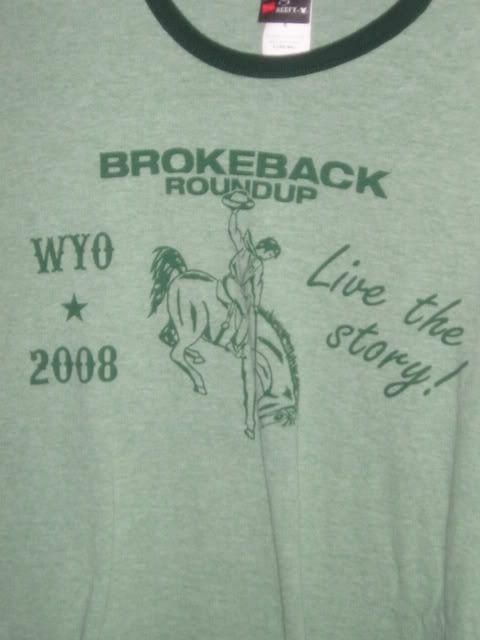 A replica of the Brokeback Mountain belt buckle. 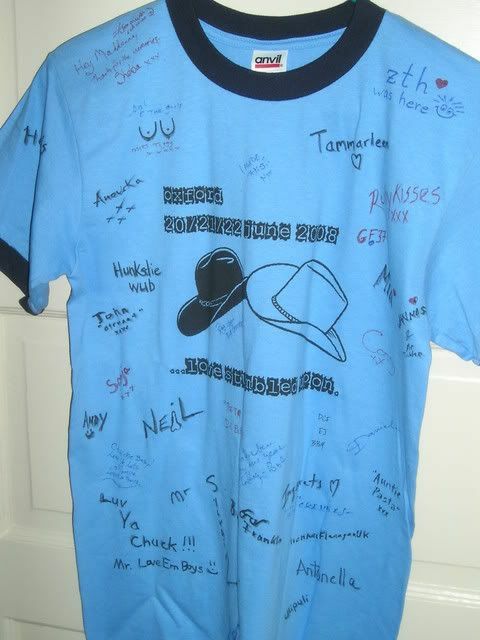 Oxford T-Shirt, signed by Brokies who attended the event. I also have a long sleeve t-shirt from the Colorado BBQ.